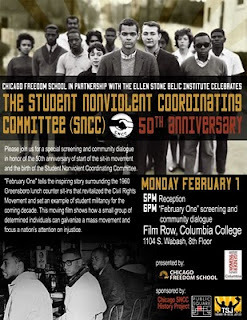 Chicago Freedom School and the Ellen Stone Belic Institute for the Study of Women and Gender in the Arts and Media also present a Film Screening of "February One". 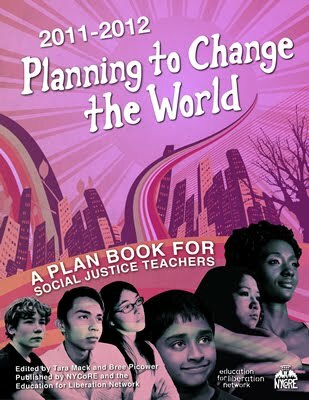 Join us for the film followed by a community dialogue on Monday, February 1, 2010, 5 - 8 pm at Film Row, 1104 S. Wabash. In partnership with the Ellen Stone Belic Institute for the Study of Women and Gender in the Arts and Media. In solidarity with the Chicago SNCC History Project, Teachers for Social Justice and the IHC Public Square.